Come on! Say it with me. Looooooong Beach. Yeah, we are here today to talk about the amazing Long Beach Coworking Space. The United States of America, the country of dreams and the country where anything is possible. This is the nation which made possible the trend of coworking spaces. Before that, who would have thought two lawyers are sitting beside each and not belittling each other. Well, that is true. 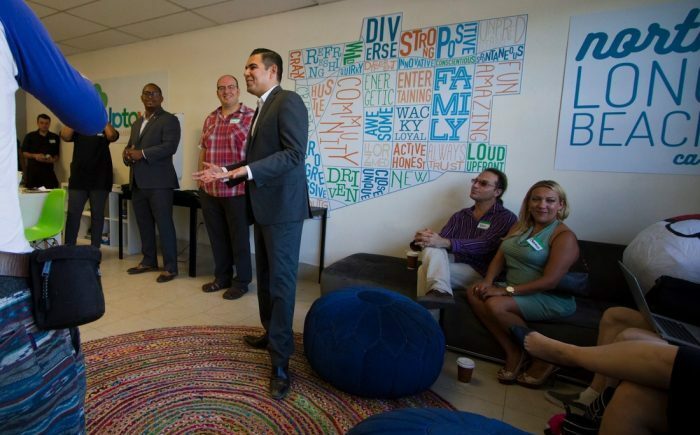 Long Beach coworking spaces have made a tremendous impact on our work culture. From building conscience about other’s work to building a habit of celebrating for and with others. Long Beach is not immune to this trend. The proof is spaces like Regus and WeWork have made their mark in this city. Not to mention that Regus has 77 locations in the city. Isn’t it amazing? Everywhere you go in and around the city, you will find one or the other coworking space blooming like a flower. Also referred to as the Aquatic Capital of America, this city is quickly adapting to the global work culture. Since the discovery of oil in Long Beach a number of Aerospace players have made it their home. We are diverging from the topic, well, let’s go back and get to know the top Long Beach Coworking Space. Check out our list of the best spaces to cowork in Long Beach, California. I learned a beautiful expression from Ironfire Long Beach about the coworking culture. They described coworking as a carrier of accelerated serendipity and I could not find such a precise and yet elaborative expression to explain coworking. Ironfire facilitates a better way to work for the members. Their workspace is comfortable, the ergonomic chairs let you focus entirely on your work. Here you can build connections with other like-minded coworkers. Engage on a whole new level with the fellow coworkers and practice the art of cohesiveness. There are variable seating options, sit and standing desks, you can enjoy a good cup of coffee anytime. Plus the internet is free and connect to tabletop power ports for easy accessibility. Ironfire indulges in conducting regular events for member and non-members. These events are aimed at freelancers, independent workers, entrepreneurs, and small business owners. PS: You can attend one free event every week. 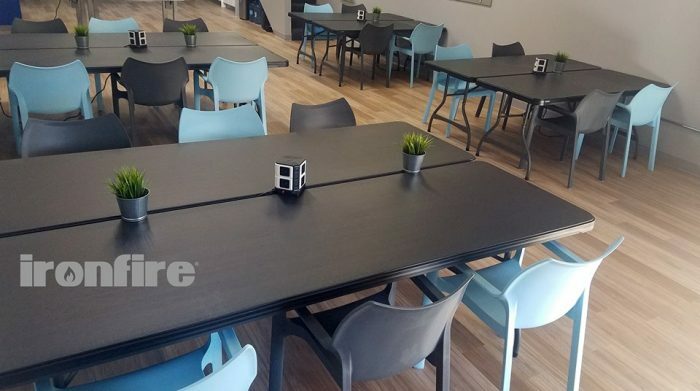 Membership Plans: Coming to the membership plans at Ironfire Coworking space Long Beach, there four options to choose from. Subject to the usage of the shared space at Ironfire, the membership ranges between $29/month to $149/month. Next is the dedicated desk, which will cost you $299 per month, also for 24-hour access to the workspace the price is $349/month. There are private offices (which are subject to availability) starting at $599 per month. Ironfire Long Beach also offers day passes for non-members, the price is kept at $20/day. Similarly, there are meeting and event spaces for hire. 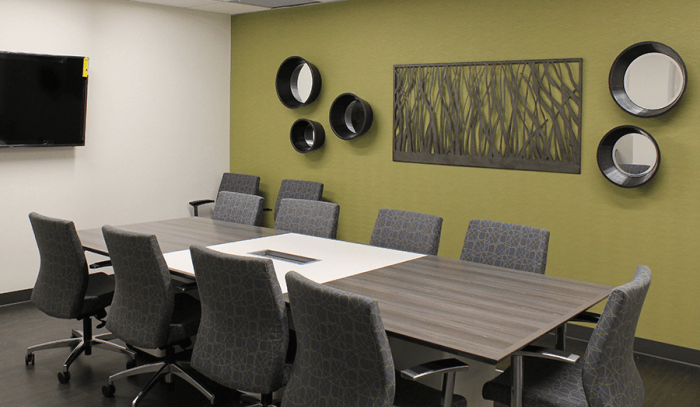 The meeting rooms are available at $40/hour and for event space, you need to pay between $99-149/hour. Within these, the existing members can avail heavy discounts. Ironfire also offers business mailing address service to members and non-members. This service is free for Private office and dedicated desk entrants. For other shared workspace members and non-members, it will cost $20/month and $35/month respectively. 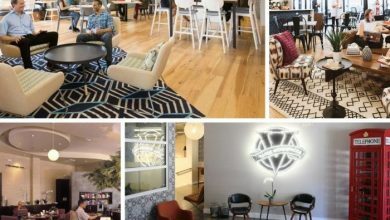 One of the world’s largest Coworking space operators has made their presence known in Long Beach. The WeWork Long Beach coworking space is named The Hubb and resides on the busy Broadway street. The location is easily commutable, with a number of other eateries and entertainment venues nearby. You can reach this location via the Metro Blue line or also hop on bus number 1 and 170. 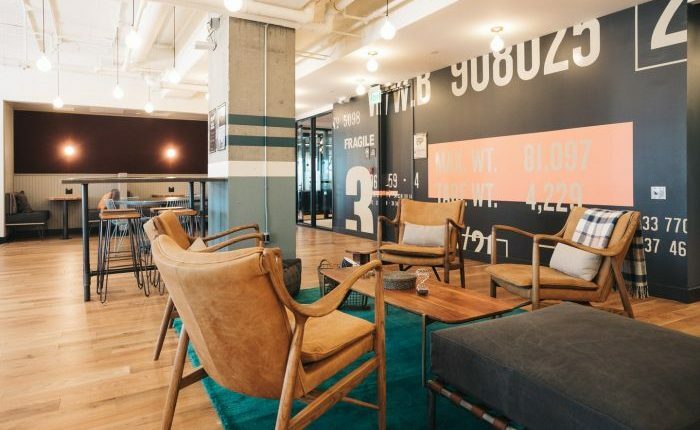 Among the signature WeWork amenities here you will have amenities like an onsite staff, cleaning, private phone booths, internet facility, coffee and unique common areas at your service. 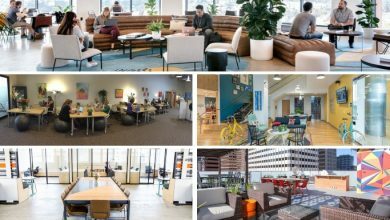 Membership Plans: The membership plans at WeWork Long Beach workspace are divided into three parts. The hot desk, dedicated desk, and private office. A Hot desk memberhsip starts at $350 per month and the dedicated desk at $450 per month. Plus if you want to rent your own private office the starting price is $700. 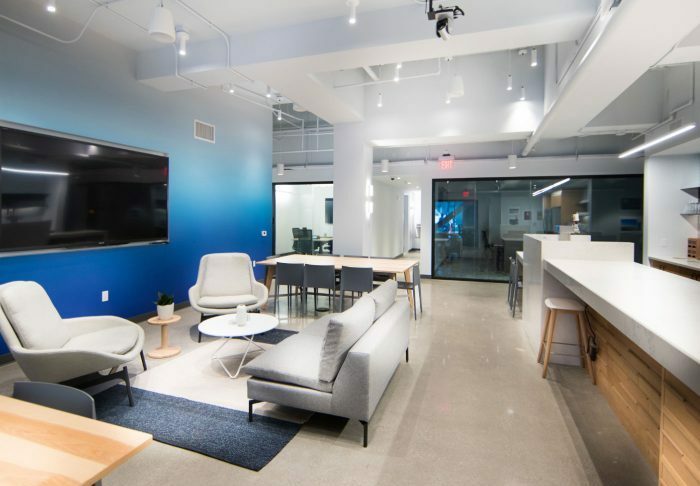 At this WeWork location, you can also hire office for larger teams, for that you can contact at 1-646-491-9060. When modernity meets the new age work culture the result is Common grounds Long Beach. 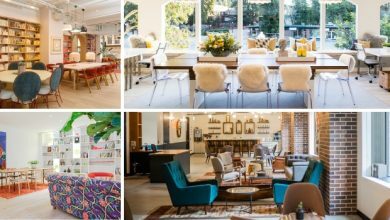 This coworking space Long Beach has eloquent interiors, eye-catchy presentation, and impressive layouts. All in all, this is the space where collaboration and integration come naturally to all the members. Maintaining the work-life balance is imperative to ensure productivity at work and serenity at home. Common Ground strives to give you that balance by providing the best of everything that you desire while working. 145 W Broadway, Long Beach, California 90802. Membership Plans: There are four types of membership plans at Common Grounds Long Beach, one more than what you will find at other spaces. These are the communal plan which is similar to hot desking with prices starting at $250 per month. Next is the desk plan, like a permanent desk, starting from $475 per month. For offices, the starting rate is $750 and may increase as per the strength. The last and unique plan is the Enterprise plan, meaning that you can choose whichever plan you want as you scale. The pricing of this plan is not shared by The Common Ground. 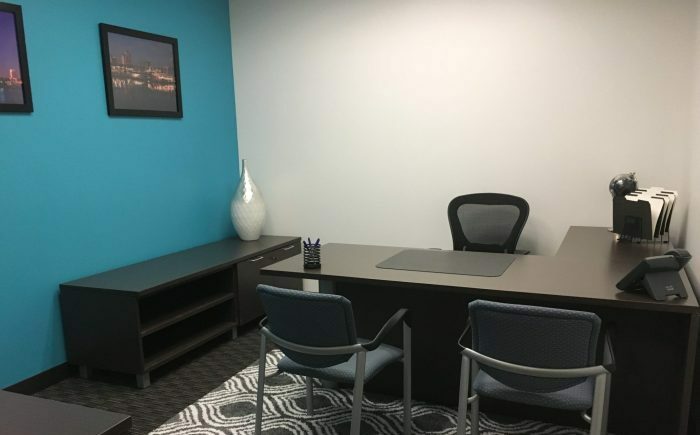 With Regus operating in Long Beach, the coworking scenario seems complete. 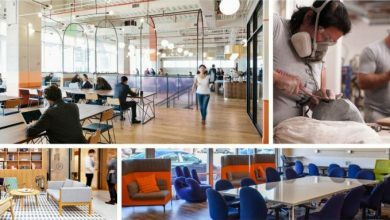 Regus is also one of the largest coworking space operators along with WeWork working in the same city. They have the best of services and a ton of experience on how to build the best Long Beach coworking space. Regus is known for spreading the coworking culture to every small or big town irrespective of popularity. In this area, there are 77 locations, which is a mix of all the spaces which are in or nearby Long Beach. 111 West Ocean Boulevard, Suite 400, Long Beach, California 90802. Membership Plans: The membership plans at Regus range from lounge area access to private offices. 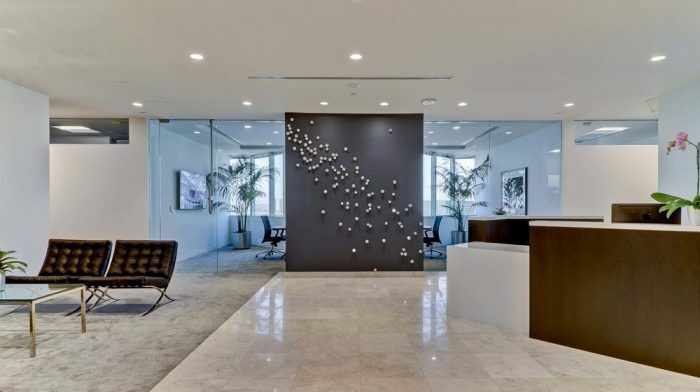 Amongst them, the most important is the Regus Long Beach coworking space. Due to a higher number of locations the price range for the membership plans may vary. The coworking membership starts at $299 per month. The office spaces, however, starts at $539 per month and lastly the lounge area access comes at $99 for the whole month. 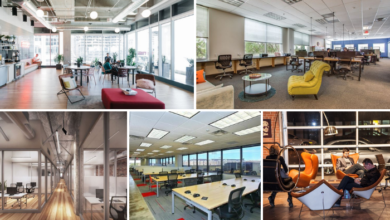 This shared office plus coworking space Long Beach is fast gaining ground in the USA. WIth more than 90 the Premier Business Center Long Beach is becoming the next best alternative for various coworkers. The PB centers saw its inception in 2002 and work with an experienced staff that caters to all the member’s needs. The enormous community of all the locations combined will provide you with a free pathway for greater connectivity and collaboration. In Long Beach, you will find them at four locations. 3780 Kilroy Airport Way, Suite 200, Long Beach California 90806. Membership Plans: At Premium Business Centers Long Beach, there are three memberhsip plans available. These are the SIlver, Gold and Platinum plans. For the Silver plan, you need to pay $300 and get a month’s access to your workspace. The cost for joining under the Gold plan is $495 and that for the Platinum plan is $595. Under all the membership plans you will have access to the kitchen area, the lounge area, and use blazing fast internet. 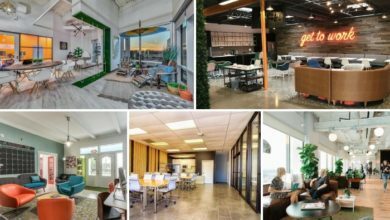 The Long Beach coworking scenario has yet another addition in the form of Work Evolution Laboratories. Every startup, entrepreneur, and freelancer needs a constant inspiration to work hard. 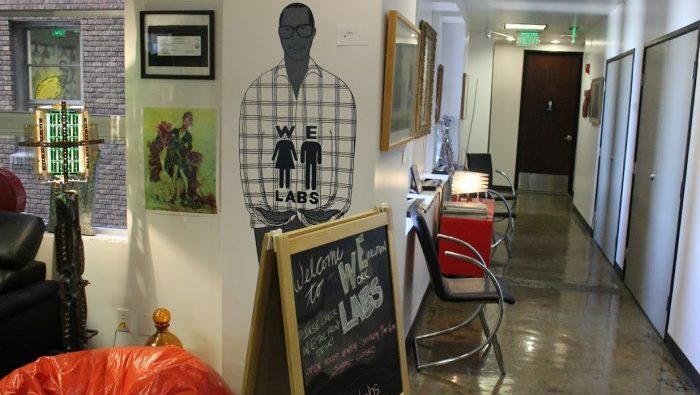 The We Labs Long Beach will provide you with an amazing camaraderie which will instill confidence in you. Being part of such a community means you can scale easily and progress towards developing your venture. Along with an energetic workforce, you will also get internet facilities, in-house coffee, and various other amenities. Address: 235 E, Broadway, 8th Floor Long Beach California 90802. Membership Plans: As for the membership plans of We Labs Coworking space Long Beach, you can choose from three plans. The day pass, the communal desk, and the dedicated desk. In this, the day pass will cost you $25, the communal desk $150 and the dedicated desk comes at $250. Both the communal and dedicated desk rates are applicable for a month. You can also rent out a private office but the membership rates depend on your requirement. Along with this, you can also hire the event space and conference room for any purpose. 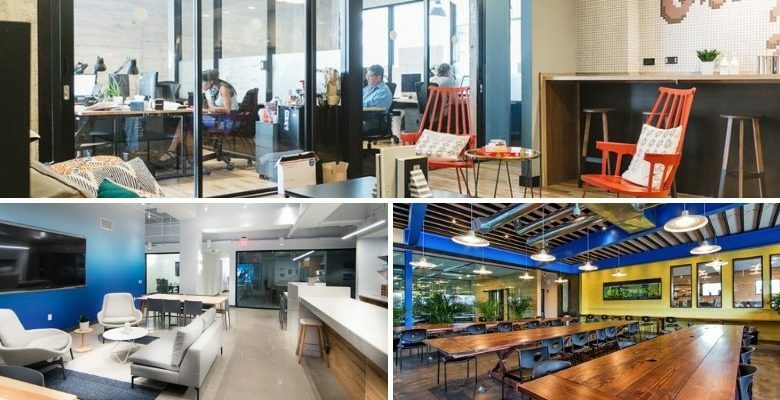 Every office space and coworking space has something distinct from others. Something which makes them stand apart from the crowd. Now, gaining such a feat in the USA is not an easy task. But WTC workspaces has made it possible only because of their impressive concierge services. Operating from the Downtown area in Long Beach this Long Beach Coworking space has a lot to offer to the members. Some of the amenities include micro-roasted coffee, internet, phone booths, conference rooms, fruit water, and cleaning services. Address: WTC Workspaces, One World Trade Center, 8th Floor Long Beach, California 90831. Membership Plans: The first membership plan at WTC workspaces is Virtual office membership priced at $130 per month. Moving on there are the hot desk, dedicated desk and private office memberships available. The hot desk plan starts at $200 per month and the dedicated desk at $300 per month. 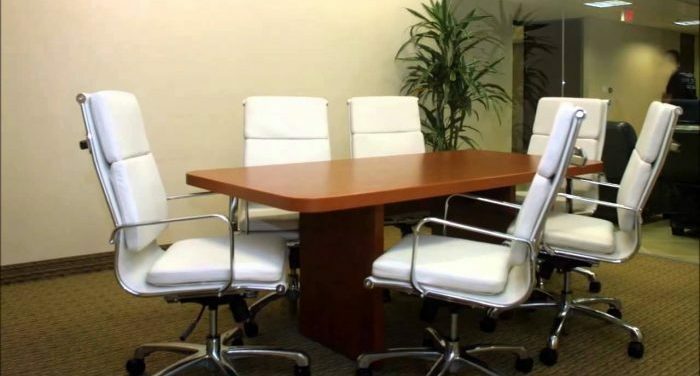 Among the private offices, you can go for, furnished or unfurnished office space which starts at $450 per month. Another important Long Beach coworking space, UpLab facilitates a number of amenities for the members. To top it, the vibrant community at UpLab Long Beach will support in fulfilling your dream. This coworking space has a lot of potential to help you develop and get things done. Founded by the Uptown property and community association the coworking space associated with Long Beach Community Foundation. All in all, this is a space where arts meets business to create an impressive and eloquent community. Membership Plans: At UpLab there are only two types of membership available. This is the hot desk and a dedicated desk. A hot desk will cost you $50 per month and you will be able to sit anywhere in the shared workspace area. Amenities like coffee, WiFi among others will be at your disposal. Next is the dedicated desk whose membership comes at $250 per month. You will get a lot more than the hot desk in this plan, like a separate and spacious desk, individual lockers and much more. This Long Beach Coworking Space has a motive for which the work. The motive is to give you your own office space where you can make anything happen. It is evident that as long as you are not comfortable you won’t be productive enough. Hence Office Space Anytime aims to provide you the best in class office space, your own lair. A space in which you can be free to do anything and everything. 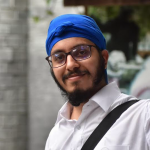 Added to this they also wish to create an ecosystem which exposes your good side and helps you connect with like-minded people. Membership Plans: At Office Space Anytime there are different membership plans that reflect their mission and brings them closer to their motive. Starting with the Open Seating Desk, which will allow you to sit anywhere and start working right away. The workdays are flexible and this plan is best for part-time workers. Then is the dedicated desk membership, this will give you permanent desk space, and your favorite seat. Another type of membership is a standard private office, every office has the required furnishing and will give you an energetic space to work in. Long Beach is slowly growing up to the idea of coworking. Although it is a coastal city, the potential for growing businesses over here is impressive. With a number of airlines and oil extraction companies making it their house, you are amongst a pool of opportunities. The best thing about Long Beach Coworking Space is that there you will find yourself in an emerging coworking ecosystem. This is a time when people and the coworking spaces alike are developing. There are new innovations every day, the large coworking operators are coming to the city. And the people are also ready to change their work culture. All in all, Long Beach is one amongst many cities in the USA which can transcend the existing coworking culture. And this is at a time when the world is just getting ready to adopt coworking, the USA is looking to innovate it further.